Want to know what it’s like to live and work in London, UK? With our newest blog series, WEX Worldwide, we’re going straight to the source and asking some of our international employees why they love our locations – and why you will, too. Home to Buckingham Palace, the London Eye, and Big Ben, London is a hotspot for culture and history. But famous sights aren’t all the bustling city offers. Boasting more than 250 art galleries and museums, a thriving theater culture, and nearly 80 Michelin-starred restaurants, the United Kingdom’s capital has something for everyone and every palate. It’s no surprise then that our London-based employees use the words busy, fast-paced, and multicultural to describe the place they call home. In a city awash with creativity and culture, you don’t have to travel far to have your interests fulfilled. Sports fanatics can tune into major events—think football matches (soccer to those in the U.S.), rugby games, and cricket—at world-renowned venues like Wimbledon and Wembley Stadium. Or, if you prefer song over sport, stop by one of the city’s 300 music venues. Whether you’re a fan of London-natives Adele, Coldplay, or The Rolling Stones, one of the nearly 20,000 concerts put on each year is sure to appeal. And if you think lush green space isn’t compatible with a major city, London is happy to prove you wrong. Explore one of the eight Royal Parks or go for a leisurely stroll through Hampstead Heath; there’s always something to be discovered. London isn’t only delicious food, historic landmarks, and the royal family—though those things do make it pretty great. 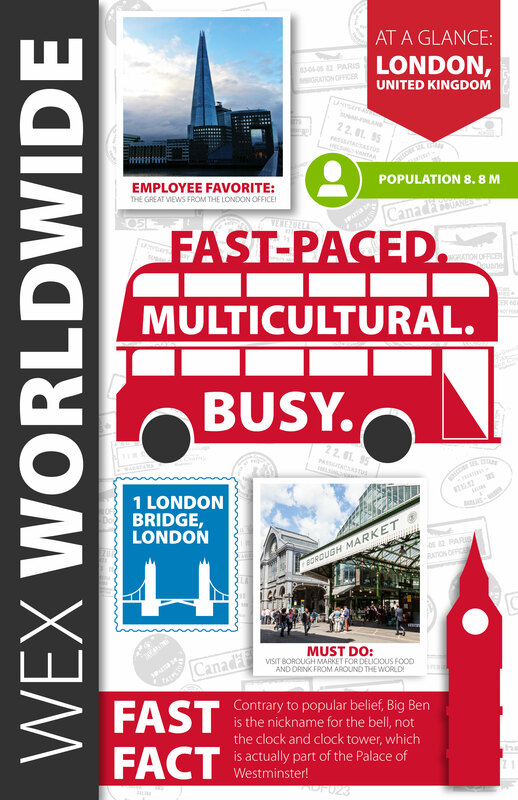 It’s also a unique and excellent place to work—just ask some of our London-based WEXers! 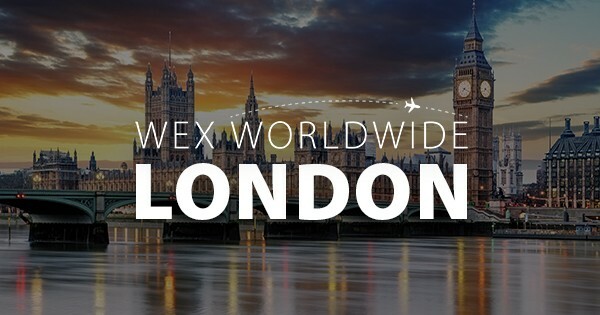 And in case a sweet office space with unbeatable views isn’t enough, our new London Bridge HQ is close to London’s leading financial and technology hubs, giving WEX access to a wealth of talented individuals from all over the world. Living and working in the UK’s capital sounds like the definition of the good life, but don’t just take our word for it—visit yourself, if you can! While you’re there, be sure to check a few of the following off of your bucket list—our London contacts tell us these are can’t-miss. Visit Big Ben—but make sure you know what you’re looking for! Despite what many people think, Big Ben is actually the nickname for the Great Bell behind the clock in Elizabeth Tower, not the actual clock or clock tower. Interested in finding out for yourself what our London office has to offer? Check out our careers page.